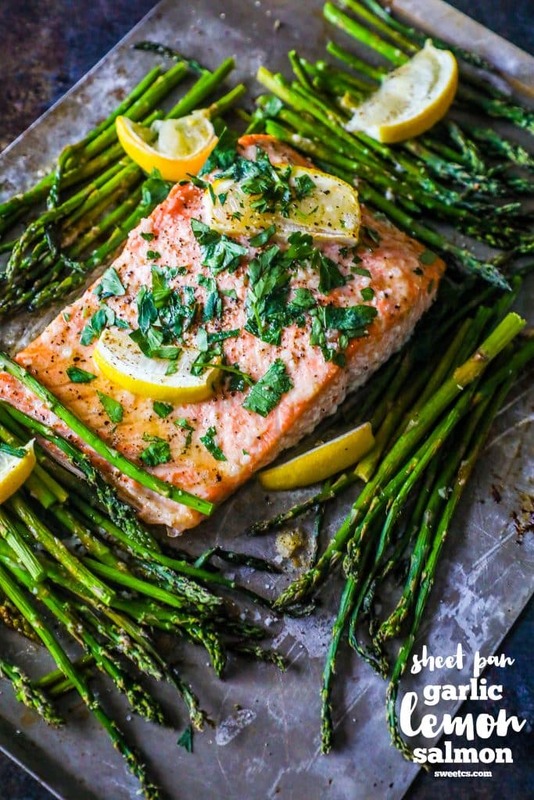 Sheet Pan Lemon Garlic Salmon and Asparagus is a light, delicious, and easy dish bursting with flavor! Healthy and great for a family. I LOVE salmon. And asparagus. I also love simple, easy meals that taste decadent and rich, but are incredibly healthy – because I won’t lie, eating well isn’t always easy for me. If I could, I’d live off fried food, cookie dough, and wine – but as I get older (and fatter), and deal with more and more health issues, we’ve been trying to add a lot more fish and vegetables in our diets. Don’t get me wrong – I LOVE seafood and vegetables – but for being a food blogger, I am also the world’s WORST dinner planner. Sometimes its just all too easy to turn to a quick and not really healthy meal after a long day of work! This meal is so simple, there is no excuse NOT to make it. Plus, it’s a great way to add in a lot of color and flavor into lent, and beyond! This meal is so simple and delicious, it is a big hit for our family. 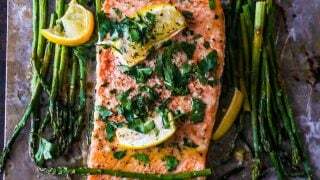 Even my picky eater will go for this salmon – and it doesn’t give ANY fishy taste or smell (we have some picky noses in our house, too – but this method doesn’t give any fishy smells!). This would also be a perfect dinner party recipe for an effortlessly elegant meal. I hope you love it as much as we do! 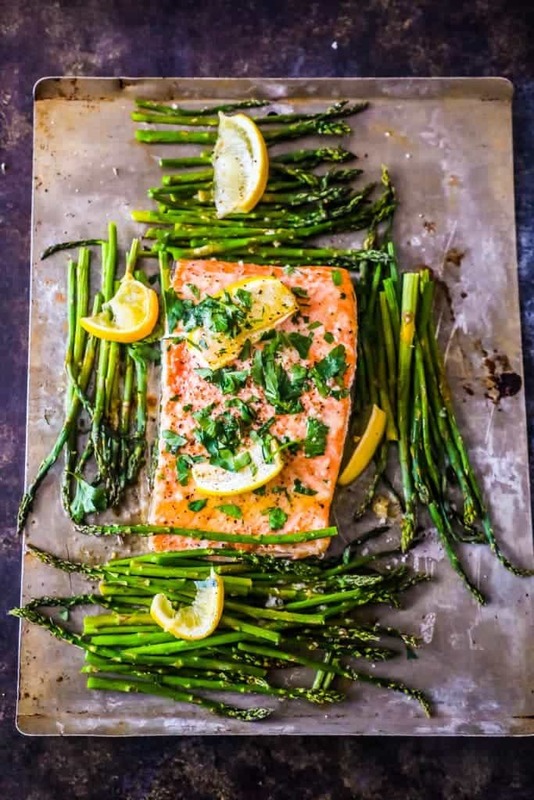 Add salmon and asparagus to sheetpan, spreading out so nothing is too crowded. In a small bowl, combine oil, lemon juice, and garlic and mix well. 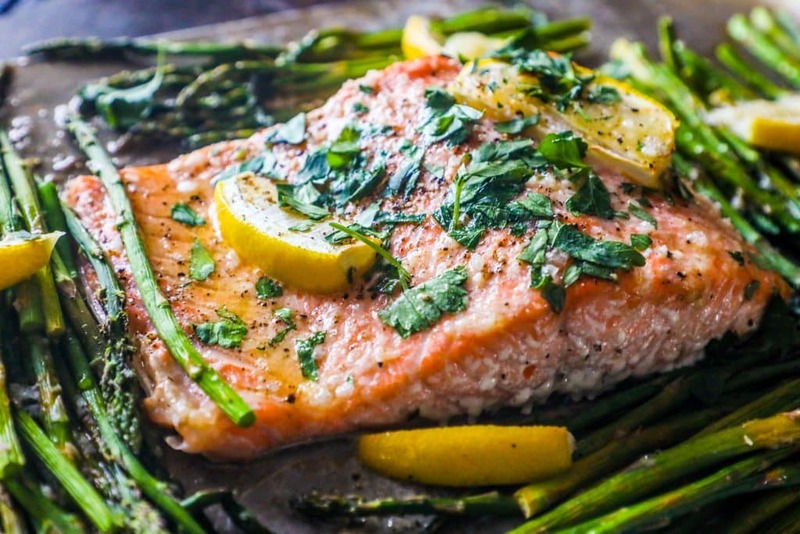 Drizzle oil, lemon juice, and garlic mixture over salmon and asparagus. Season well with salt and pepper. 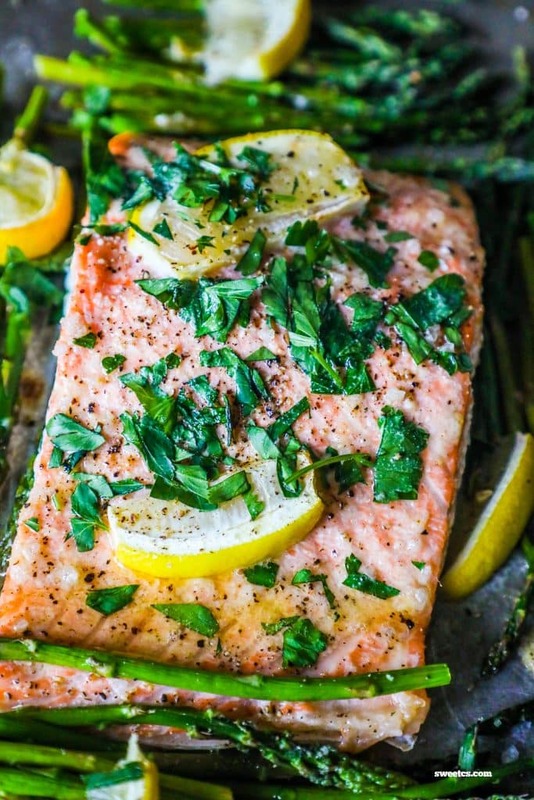 Bake 15-20 minutes, until salmon is opaque and asparagus is soft. Serve immediately, either on its own, or alongside roasted potatoes, rice, or a nice salad. Courtney loves to share great wine, good food, and loves to explore far flung places- all while masting an everyday elegant and easy style. 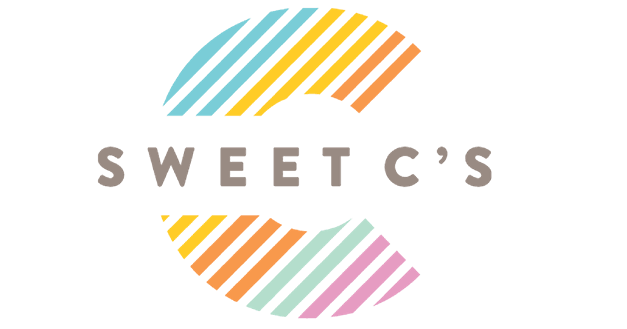 Courtney writes the popular creative lifestyle blog Sweet C’s Designs- a site devoted to delicious everyday recipes, home decor, crafts, DIY inspiration, and photography tips to help make your every day extraordinary. 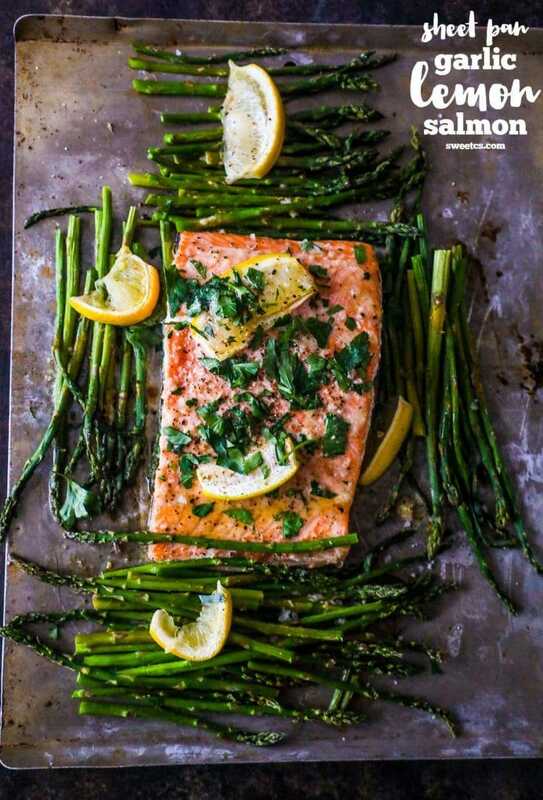 I made the sheet pan garlic lemon salmon and asparagus and must advise people that I think the recipe contains an error. It states 2 TABLESPOONS of salt. That is an extreme amount. Trust me, I found out the hard way. My husband soit it out due to the salty flavor. It should say 3/4 teaspoon of salt. I had my recipe plugin go nuts – it changed a bunch of amounts. Thanks for the feedback, I’m changing this one now! If I’m using fillets (3-4oz) because it is hard to find a decent slab of salmon, and I need 2-3 pounds of salmon as opposed to one, would you recommend any adjustments? I’ll need two sheet pans and think the best move is salmon on one, just over center oven, asparagus just below. Thank you!! I’d just watch the cook on them (if you have an oven light) – when the salmon is a whitish pink, its done! When using filets vs a slab it will cook a lot faster so you just need to watch it a bit more – but in truth, we do the filet version often and it’s just as delicious! How do you make that garlic paste? It looks amazing ! I actually buy it from our grocery store – I used the Gourmet Gardens brand, but I know of a few companies that make it. You can usually find it with refrigerated herbs!